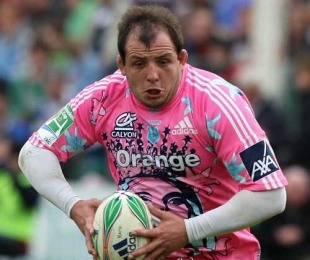 Stade Francais prop David Attoub has had his ban for gouging reduced by 18 weeks. Attoub took his appeal to the Comité National Olympique et Sportif Français, the highest authority in French sport, who agreed to reduce the ban provided the French Rugby Federation (FFR) also confirmed the change. The union have done so, meaning that Attoub will be free to play again on December 18, having originally been ruled out until April 2011. Attoub remains disappointed with the reduction to the ban, which was conferred by European Rugby Cup (ERC) in the wake of Stade's Heineken Cup loss to Ulster in December 2009. Scrum-half Julien Dupuy was also banned for six months following the game, having also been found guilty of gouging Stephen Ferris, but he has since returned to action with France 'A' at the Churchill Cup. At the time of the judgement disciplinary officer Judge Jeff Blackett described Attoub's actions as "the worst act of contact with the eyes that I have had to deal with: it is a case of deliberate eye gouging."